Martini Cartwheels: When Is A Rum Ball Not A Rum Ball? Need a little incentive to start the New Year's diet? Let me cook for you. Apparently unlike Captain and Coke, more rum is a bad thing when added to this mix. 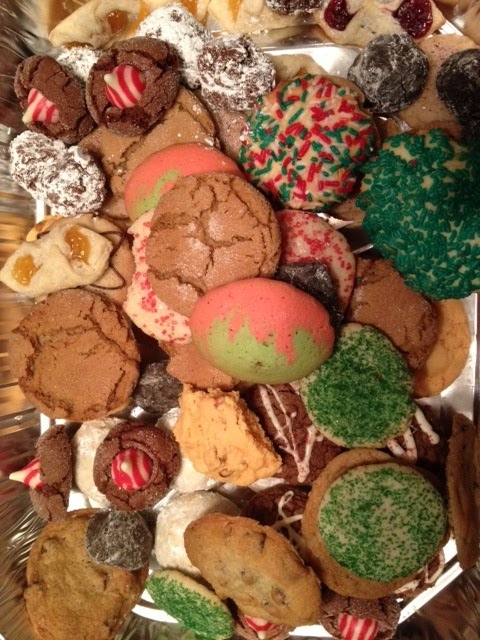 And just for reference, below is a picture of some beautiful cookies, baked by the ladies of the Ventura Street Cookie Swap. 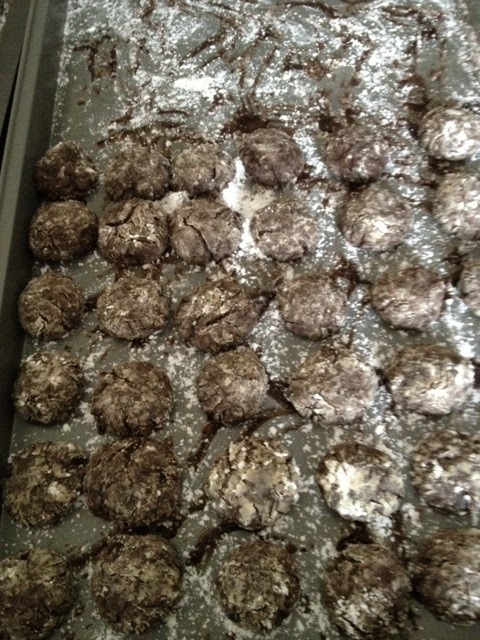 I was able to salvage a few of the rum balls to add to this mix. By supplementing with some store bought cookies, I could actually contribute to the collection below. So how 'bout that new diet? Looking for a personal chef? Call me! CJ - It's not about the cookies! (OK well it is just a little bit) You were the first to go rogue with a Bakery cookie - no one is complaining - just always happy that you join in the festivities! I will have to print this blog to read to the ladies at the 2013 Cookie Swap!! !